Dubai City Tour is the most exciting trip in your life. It is the journey where you will experience a mesmerizing breeze, warmth of the sun and where fluffy sand meets the dancing waves. We provide you pick and drop facilities to make your trip most comfortable as well as fascinating. We start our trip from your hotel or residence and take you to all the major tourist spots. 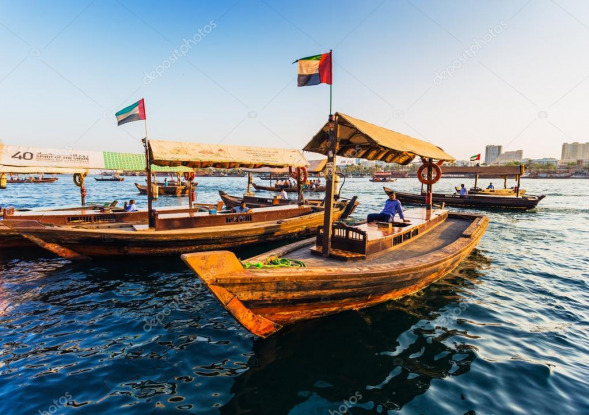 Dubai Creek is the old city area having traditional boats along the seashore as well as three famous markets, Gold Souk, Textile Souk and Spice Souk. Dubai Museum delves you into the Arabian history; where you will see 3000 B.C. old antiques. Dubai is a unique blend of modern and ancient architecture where the history infuses with the contemporary lifestyle. Jumeirah is a place where you will love to stop and capture your holiday's memories. Jumeirah Mosque is an intricate white architecture on the way, Jumeirah Kite Beach where you may have a photo session, and Souk Madinat Jumeirah where you will discover luxury under the traditionally designed architectural building. Burj Al Arab, which is the first seven-star hotel in the world is just a click away from Souk Madinat Jumeirah. Then we will move towards the eighth wonder of the world, yes you are right, the Palm Island/Palm Jumeirah. It is one-of-a-kind human-made island and the hub of great entertainment and leisure activities. We'll show you the best views of Dubai skyline & take you to Dubai Marina to see the dozens of unique skyscrapers, luxury yacht charters & restaurants. We will then drive towards the world’s tallest building, Burj Khalifa. Our guide would love to click pictures for you; standing right in front of the tower at 90 degrees. After a brief orientation of the city, enthralling and most fascinating Dubai city tour, we will drive you back to your hotel or residence.